Official Synopsis: Director Antoine Fuqua brings his modern vision to a classic story in Metro-Goldwyn-Mayer Pictures’ and Columbia Pictures’ The Magnificent Seven. With the town of Rose Creek under the deadly control of industrialist Bartholomew Bogue (Peter Sarsgaard), the desperate townspeople employ protection from seven outlaws, bounty hunters, gamblers and hired guns – Sam Chisolm (Denzel Washington), Josh Farraday (Chris Pratt), Goodnight Robicheaux (Ethan Hawke), Jack Horne (Vincent D’Onofrio), Billy Rocks (Byung-Hun Lee), Vasquez (Manuel Garcia-Rulfo), and Red Harvest (Martin Sensmeier). As they prepare the town for the violent showdown that they know is coming, these seven mercenaries find themselves fighting for more than money. 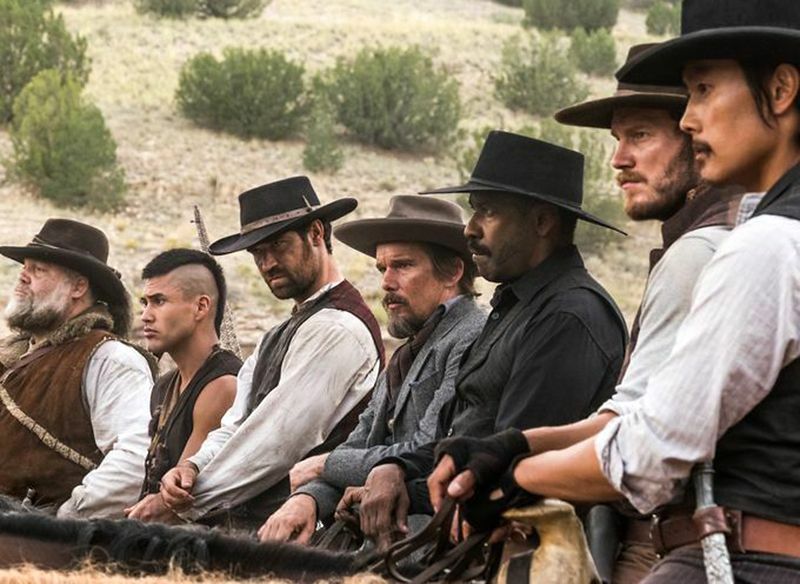 Your First Look at ‘The Magnificent Seven’ Remake! ‘Magnificent Seven’ Reboot Nabbing “Magnificent” Trio of ‘Training Day’ Talent!!! This entry was posted on Wednesday, April 20th, 2016 at 9:22 am	and is filed under Film, News. You can follow any responses to this entry through the RSS 2.0 feed. You can skip to the end and leave a response. Pinging is currently not allowed.